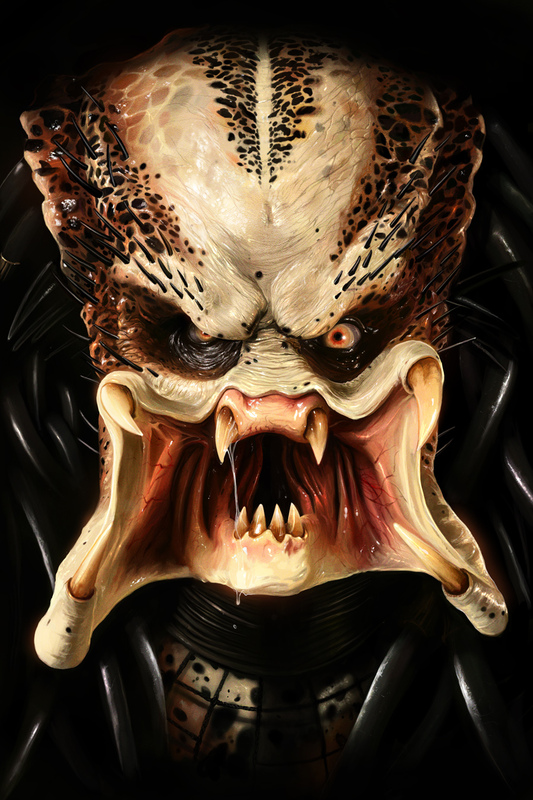 I'm not liking the new Predator mouth grill. Hmm....The 2003 TL-S might only be 9 years old, but that car is based on the 1998 Accord...and that's 14 years old already. Back at that time, the TL was still just a glorified Honda Accord. This is why it's a little bit surprising that you are comparing the 2g TL-S to a 2011 ES350. Like I said, my original point was just that you can mod a car to handle better - You're not going to turn a TL or an ES into a Ferrari, but you can go aftermarket to improve the handling. I like the new Lexus face on the new ES, warming up to it on the GS, think it's totally ugly on the LX refresh, and the new RX. the problem that Lexus is facing now is that they have to stick with this corporate face for a while. i don't think it's a universal fit for their lineup, i see it working on some applications, and failing on others. im not really diggin this model, the center console looks confused, unfinished and bland. i dont know what they were going for with that grill theme. first BMW bangalized theire front ends, then the Acura beak that turned alot of people away, i hope Lexus doesnt make this Hourglass thing brand wide ! I think the grill would look better if they dropped the chrome from the bottom half and ran it across the front above the license plate. Pretty impressive that they dropped 90 lbs in weight from the previous gen ES350. Looks good. Wish they'd improve the boat-like ride and handling. Just firm it up a bit. Realize - the ES350 was a pretty "light" car to begin with compared with competitors at only 3580 lbs. I'm not sure if the 90 pound reduction is comparing the 3.5L V6 ES350 with the 4-banger in the ES300h, but 3490 is pretty good. For comparison - the 2013 FWD TL is 3699 lbs and the SH-AWD (not a fair compare) is 3948 lbs. This 2013 is more in line with the weight of the 2G/3G TL. I guess it remains to be seen how well the 2013 will handle though, but if the press release is right - it should be better than the previous generation at least. In the reviews I've read - the 2012 Camry does get notable remarks for better handling though - again better than the previous generation though, not necessarily compared to a Accord or anything. How do you they haven't when there isn't even a test drive out yet? ....and it looks like my iPhone is going to get a workout @ the NYIAS on Friday. Lexus' volume sedan started life as little more than a Toyota Camry playing dress-up. With this sixth-generation model, it departs the Camry platform (for the related Avalon's) and matriculates to true baby-LS status. Actually, make that adult son of LS -- the key interior and exterior dimensions of the new 2013 Lexus ES scale to between 96 and 99 percent of the LS 460's, and the rear legroom is actually greater than that of the short-wheelbase LS. Its coupe-like profile and rear-end design ape the big car faithfully too. Of course, with the carryover 3.5-liter V-6, the power scales at 71%, and if you opt for the newly available ES 300h hybrid that percentage drops to 53. And fear not, the base price should remain at just over half that of the LS 460. By upgrading to the 1.7-inch longer Avalon wheelbase and significantly rearranging the furniture, the 2013 ES finds an impressive 4.1 inches of additional rear legroom, and even with that swoopier looking rear window, there's 0.7 inch more rear headroom too. An inch of added overall length and a higher rear deck make the trunk roomier by 0.4 cubic foot in the ES 350 (15.2 total) -- plan to upsize your golf clubs accordingly, but test-fit your Big Berthas in the ES 300h's trunk, where the hybrid's battery hogs 3.1 precious cubes. As expected of any new car, the ES is stiffened by extra spot welds, strut-tower/cowl bracing and the like, and it's lightened by 90 pounds thanks to the greater use of high-strength steels. The LS-ification of the ES manifests in richer interior materials like a contrasting stitching on the dash that is hand sewn by one of 12 Takumi masters who must pass a manual dexterity test by folding an origami cat with their non-dominant hand in 90 seconds (Japan truly is a different world). Dexterous drivers will appreciate the next-gen haptic joystick multi-function controller, which trades the former version's spherical orbit for motion in a single plane with a push-to-click mouse action instead of a separate select button. It should prove way more user friendly when controlling the smart-phone apps that Lexus Enform now enables. To soothe animal-lovers' consciences, standard leather gives way to a volatile-compound-free NuLuxe leatherette, but ordering practically any of the cool options or packages forces an upgrade to perforated leather or even the baby-soft semi-aniline stuff. Go nuts on the order form selecting the 835-watt 15-speaker Mark Levinson 5.1 audio system, rear-seat sunshades, heated wood steering wheel, heated and cooled front seats, power closing trunk, and more, and the price gap with the flagship closes considerably. New safety gear includes side airbags that extend down for pelvis protection, and optional blind-spot warning, cross-traffic alert, and automatic high-beam assist. The ES 300h model essentially drops in the Camry Hybrid drivetrain and battery pack with only minor tuning tweaks, but lower aerodynamic drag nudges the Lexus' EPA city/highway figures up from Camry's 40/38 to 40/39 mpg. Lexus expects the hybrid to lure younger buyers, so its suspension is tuned for sharper, crisper handling. All models also get a new Drive Mode Select system that tailors throttle response for eco, normal, or sport driving, with the latter setting also firming up the electric power steering effort by a reported (but undetectable) 20 percent. A quicker steering ratio (14.8:1 versus 16.1:1) means the wheel needs less spinning, but when you do spin it quickly for a U-turn you can clearly hear the assist motor whirring from just behind the instrument panel. The dash glows blue in Eco and red in Sport, but sadly the suspension is not adjustable. The transmission shift logic is not affected by Drive Mode Select, and it's none too intuitive about holding gears when cornering. That's because few of the million-plus ES owners ever "corner" their cars aggressively. They merely steer them, paying no heed to any communication that might struggle from the tires to the helm. It's just not that kind of car, which is why no F Sport or even all-wheel-drive variant has ever been seriously contemplated. The slightly starchier setup found in the hybrid and newly available 18-inch wheel package is therefore as athletic as an ES gets. How athletic is it? The biggest difference we detected was extra road noise transmitted by the tires, though careful back-to-back drives in 17- and 18-inch ES 350 test cars revealed marginally higher cornering limits. The level of body-motion control still qualifies as luxo-soft and the steering remains numb irrespective of mode-switch twiddling, which is why any prospective buyer smitten by the style of the 18s should probably take a long test drive before committing. Lexus claims the ES 300h hybrid will accelerate about a second slower than the ES 350 (8.1 versus 7.1 to 60 mph). It feels plenty quick enough accelerating through the non gears, but the roaring four-cylinder engine note sounds decidedly downscale of the V-6. The price, however, is expected to start around $3000 dearer (equipment levels are identical), but fuel savings will easily pay back the difference in less than 50,000 miles. Traditional ES buyers may also be put off by the hybrid model's brake-pedal feel. The regenerative braking yields a non-linear response that makes it difficult to execute smooth stops. This seems inexcusable from a company with such a long history of producing hybrid cars. Sadly this hybrid offers nothing fancier than the Camry's energy-flow and mpg-history displays, which fall well short of Ford's state-of-the-art hybrid screens. Bottom line: The restyle adds character and panache to a car that desperately needed a big dose of it, and the resemblance to the senior Lexus will surely appeal to social climbers. The standard Lexus ES 350 with 17-inch tires remains perhaps the safest model to recommend to mild-mannered non-enthusiast friends looking for a car in the entry-lux class. Similarly, the hybrid is probably a safe call for younger car-indifferent pals looking for a roomy bucks-up hybrid, as they're likely to appreciate the haptic controller integration of their favorite apps. Our ES may be all grown up, but it still has a few life-lessons left to learn. Oregon's Willamette Valley is where the mythical Lexus ES 350 owner goes on vacation. He's worn down by his long commute, but when he gets a few days off, he heads right back out on the interstate. Hundreds of miles later, he finds tranquility and plenty of pinot noir in this famous wine region. Although we think of the Lexus ES 350 as a uniquely North American car, our man could just as easily live in China. The ES is the No. 2 selling Lexus there (behind the RX), just as it is in the U.S. Lexus officials paid a lot of attention to both markets while working on the 2013 Lexus ES 350, and the result is a redesigned entry-level luxury sedan with more interior room, better fuel economy and an available four-cylinder hybrid version — the 2013 Lexus ES 300h. 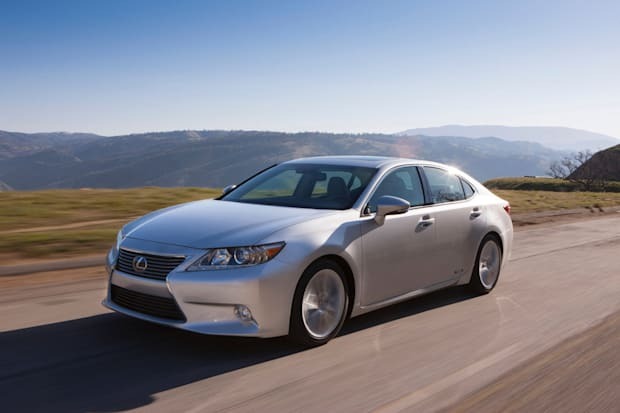 Together the 2013 Lexus ES 350 and 2013 Lexus ES 300h represent a "truly global ES," says Chief Engineer Toshio Asahi. Skeptical? Well, it turns out we have plenty in common with the commuters and oenophiles in China. As we slide into the backseat of the 2013 Lexus ES 350, it's clear we're on the same page regarding legroom. For the first time in its 25-year history, the ES does not share its wheelbase with the Toyota Camry (109.3 inches). Instead, it now matches the full-size Toyota Avalon (111 inches) in terms of space between the wheels. Rear legroom increases from just under 36 inches in the 2012 ES 350 to 40 inches even. This still isn't an Avalon-size car, though, as the ES retains its overall width of 71.7 inches and it's just barely taller at 57.1 inches. It's 192.7 inches long — an inch longer than last year's sedan, but still 5 inches down on the big Toyota. The cabin feels airy, though, as passenger volume has swelled to 100 cubic feet, up from 95.4 in last year's ES 350. All these gains might have you thinking the 2013 ES 350 is overweight. In fact, the unit-body is lighter and more rigid than before, thanks to increased use of high-strength steel. The 2013 ES 350 is 50 pounds lighter than last year's ES, and even with a battery pack, the ES 300h is only 110 pounds heavier than the V6 car. Style has never been a reason to buy a Lexus ES. On the contrary, the car's quiet rejection of fleeting trends gives it a timeless appeal. That should continue with this generation, though the adoption of the new double-spindle grille gives the ES a passing resemblance to the similarly sized Lexus GS 350. A V6 engine has always been an essential ingredient to the ES formula, and Lexus still expects it to account for 75 percent of the car's sales volume in the United States. The ES 350's drivetrain is basically a carryover. The 3.5-liter engine is rated the same as it was in 2012, with 268 horsepower at 6,200 rpm and 248 pound-feet of torque at 4,700 rpm. The six-speed automatic transmission driving the front wheels is geared the same, too, but a taller final drive (3.46 versus 3.68), combined with an expanded range of torque converter lockup and various friction-reduction measures, reduces fuel consumption. Lexus officials are predicting EPA ratings of 21 city/31 highway/24 combined mpg compared to the 2012 car's 19/28/22 ratings. We've always liked this engine's sweet sound, and there's ample torque to take advantage of passing zones on Oregon's Highway 47. There aren't any paddle shifters à la the Camry SE, but downshifts come quickly enough that we probably wouldn't use them much (and the shifter has a manual gate anyway). Driver-selectable Sport and Eco modes tailor throttle response to your priorities, but leaving it in Normal suits us just fine. Keep in mind that Lexus has focused on fuel economy in this redesign, so this 2013 ES 350 probably won't be any quicker than the 2009 Lexus ES we tested. Figure about 7.1 seconds to 60 mph. The arrival of the four-cylinder Lexus ES 300h reflects the influence of the Chinese market. Fuel economy is a big deal there, and buyers simply won't pay for a V6 that gets poor mileage — their outgoing ES only comes with a 2.4-liter inline-4. But there's no doubt that Americans are increasingly willing to accept four-cylinder engines in entry-luxury cars. Plus, the 2013 Lexus ES 300h takes the place of the 2010 Lexus HS 250h, which quietly ended production in January. Compared to the HS, the ES 300h is roomier, quicker and more fuel-efficient. Its drivetrain is identical to the 2012 Toyota Camry Hybrid, with an Atkinson-cycle 2.5-liter inline-4 rated at 156 hp at 5,700 rpm and 156 lb-ft of torque at 4,500 rpm. There are two electric motors, and a 244.8-volt nickel-metal hydride battery pack (with 204 cells of 1.2 volts each). The battery pack can feed a maximum of 44 hp to the motors, and a planetary gearset-regulated CVT (continuously variable transmission) blends everything together, resulting in a net 200-hp rating. Lexus expects the 2013 Lexus ES 300h to earn 40 city/39 highway/39 combined mpg ratings from the EPA. In contrast, the 187-hp HS 250h had a rating of 35 city/34 highway/35 combined. Our 37-mile drive in Eco mode (the hybrid also has EV, Normal and Sport modes) produced 40.5 mpg with an average speed of 33 mph, according to the trip computer. Put the ES 300h in EV mode and you'll get all of half a mile before the gas engine starts. Of course the ES 300h feels less energetic than the ES 350, but it's hardly slow. Lexus expects the hybrid ES will trail the ES 350 by only a second in the 0-60-mph race, though the gap will widen by the quarter-mile mark. The automaker's internal estimates have the hybrid at 16.8 seconds versus 15.1 for the ES 350. The ES stakes its reputation on its compliant ride quality, and the 2013 Lexus ES 350 and ES 300h uphold it. Its basic suspension design is the same as the 2012 Camry, and the Lexus engineers have made changes to make the ES feel more stable as we're blasting down country roads. Spring and damper rates are updated all the way around, and in back, the lateral links are revised and the bushings are new. Both the ES 300h and the ES 350 come with all-season, low-rolling-resistance P215/55R17 93V Michelin Primacy MXM4 tires, with P225/45R18 91V Primacys optional on the ES 350. Both setups provide a cushy ride during our drive, with reasonable balance around corners. The power steering uses electric assist, and it's plenty precise on back roads. Notably, the steering is quicker than it was on the 2012 ES 350 (14.8:1 vs. 16.0:1). The other thing we notice during our drive is the brake pedal feel — there's not a great difference in pedal feel between the regular ES 350 and ES 300h and that's a good thing. You're not going to mistake the 2013 Lexus ES interior for an LS 460, but considering the likely price point — a typically equipped model landing in the mid-$40Ks — materials quality is just fine. Lexus had only leather-lined models at this event, so we can't tell you if the standard NuLuxe simulated leather passes muster. We like the wood trim, particularly the sustainable bamboo in the ES 300h, and some designer was clever enough to think of using the double-spindle motif on the center stack. However, the sedans' Remote Touch Interface isn't nearly as tidy. Essentially, you're using an oversize computer mouse to enter destinations and sift through the audio menus, and it feels cumbersome, particularly if you have a smartphone in your pocket that can perform similar functions so much more quickly. Although Remote Touch is optional, most 2013 ES models will have it, since it's included with the available Display Audio system (which upgrades you to a larger display and adds Bluetooth audio streaming) and the Navigation package. Standard equipment on the 2012 ES 350 and ES 300h includes keyless ignition, dual-zone automatic climate control, Bluetooth (for phone calls only) and USB and auxiliary inputs. New options for 2013 include blind-spot and lane-departure warning systems, a power trunk closer and manual rear-door sunshades. We're not sure how popular pinot noir is in China, but we're pretty sure buyers there will share our impression of the 2013 Lexus ES. It's just as quiet and comfortable as its predecessor, only now it's a little bit better. No, it's not any quicker, but it's more fuel-efficient and even the hybrid keeps up well on the freeway. Plus, both ES models are roomier and available with more features. Of course, you could enjoy many of the same attributes in a nicely optioned Camry XLE or Camry Hybrid. Alternatively, if you're less worried about interior room and the bottom line, you'll find more prestige and entertainment value in entry-level versions of the BMW 3 Series or Mercedes-Benz C-Class. And so, as in the past, the 2013 Lexus ES 350 isn't for everyone, but if comfort is your No. 1 priority, Lexus has delivered another class leader. Am I crazy or is the car in the reviews actually higher (suspension-wise) than the one in the previous photos? It looks like either the wheel offset or the track width is less too. ...and Lexus has yet another vehicle they will sell in droves! They nailed it. Definitely another hit for Lexus. Look good, and damn the ES is 25 years old. Lexus detractors pillory the ES 350 as little more than a rebadged Toyota Camry XLE. But an initial drive of the re-engineered 2013 ES lineup challenges that claim, even though much of the platform and powertrain are shared with the Camry. The carryover 6-speed automatic transmission is a bit behind competitors' 7- and 8-speed automatics, but shift quality is smooth. The car's sport mode maintains ride comfort while increasing stability through hard corners, but there is no mistaking the ES for a sport sedan. Notable features: For the first time, the ES line gets a hybrid. The ES 300h uses the base 2.5-liter 4-cylinder engine hooked to an electric motor through an electronic continuously variable transmission. It's the same system used in the Toyota Camry Hybrid. Standard features include 10 airbags, 17-inch wheels, SmartKey, Bluetooth connectivity and a navigation system with instant traffic reports. The standard 10-way power driver and passenger seats come with faux-leather seating surfaces and improved cushioning for the pelvis and hips. Compromises and shortcomings: The instrument panel and center stack shares design language with the upmarket GS sedan, but the ES version seems to have less content and has a clunky array of buttons oddly reminiscent of a 1980s stereo receiver. The rear seats don't fold down, which is great for lateral stability but lousy for Home Depot runs. The optional 18-inch wheels create substantially more road noise. Normally, Toyota's mileage estimates for its hybrid models are dead on, but despite its claimed 40 mpg, the ES 300h returned only 34 mpg on a 90-minute loop driven sedately. The 2013 Lexus ES trades some substance for gimmicks with its all-new design, but it should draw interest for adventurous styling and a 1st-ever ES hybrid version. Characterizing an ES has always been like trying to distinguish the flavors in oatmeal — a porcelain bowl of it from room service at the Hyatt, but oatmeal nonetheless. Lexus' best-selling sedan boasts incremental handling improvements and refined ride quality in its 6th-generation redesign, but the interior is a mixed bag, and so is my verdict. 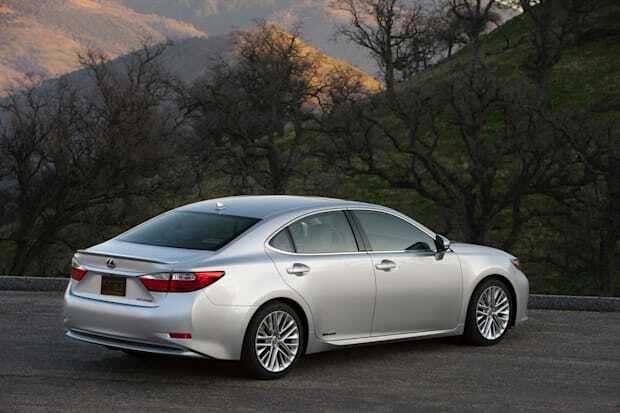 Available as a V-6 ES 350 or first-ever hybrid ES 300h, the ES grew longer and taller for 2013. It now hails from the Toyota Avalon's longer platform rather than the Camry, with which it traditionally shared underpinnings. At a media preview, I drove both ES drivetrains alongside the prior generation. The front-wheel-drive ES adopts Lexus' "spindle" grille — more of a fat hourglass — up front, drawing similarities to the recently reinvented rear-drive GS sedan. It's actually a touch longer than that pricier sibling, and its creased lines stand out like no ES before. There is no ground-hugging F-Sport Package, as Lexus offers on a few other cars, but the ES needs none: It looks dynamic enough. 17-inch alloy wheels are standard, with 18s optional on the ES 350. The ES 350's 3.5-liter V-6 moves out with a muscular exhaust note if standing on the gas. A Lexus spokesperson told me it's a few ticks slower than the last ES — a tradeoff for better gas mileage — but crank the Lexus' Drive Mode Select to Sport mode, as opposed to Eco or Normal, and sharper accelerator progression renders an even quicker climb. Alas, the 6-speed automatic transmission still suffers befuddling inconsistencies: Sometimes it kicks down a gear or 2 for immediate passing power; other times it hunts aimlessly for the right gear. Sport mode reduces power-steering assist for palpably better steering feedback. The prior ES had a tendency for the wheel to snap suddenly back to center. Its successor steers more naturally, with quicker reflexes. A redesigned suspension with uprated shocks and additional bracing also has been added, but does little to quell the car's modest body roll. Ride quality — a trademark of the previous car — remains sound. All ES models share the same suspension tuning. An adaptive suspension, which Lexus offered in 2 prior generations of the ES, is currently unavailable. The ES remains front-wheel drive only with no all-wheel-drive option unlike competition from Acura, Infiniti, BMW, Audi, Cadillac and Mercedes. The Lexus GS does offer the option. The hybrid ES 300h pairs a 2.5-liter 4-cylinder with 2 motor-generators and a continuously variable automatic transmission for 200 combined horsepower versus the ES 350's 268 hp. At full bore, the car hustles well enough, but it lacks the passing confidence deserving of a luxury badge, and the droning, here-it-comes CVT sounds anything but refined. Like any full hybrid, the 300h can run on electric power at low speeds for short distances; an EV mode, activated via Drive Mode Select, raises the threshold where the car transitions to engine power. Drive Mode Select blocks EV mode if the car's nickel-metal-hydride battery power is too low or if you press the gas for too much power. Stand on the pedal, even in EV mode, and the ES 300h springs to full power in moments. Thanks to lower curb weight and better aerodynamics, EPA mileage in the ES 350 is up to 21/31 mpg city/highway, an overall improvement of about 2 mpg over the last ES. That's near the head of the luxury competition, edging out the Acura TL, Audi A4 and Infiniti G37 by 1 mpg or more. The BMW 328i and 4-cylinder Lincoln MKZ eke out another 1 to 2 mpg, however. 1 plus: The ES runs fine on regular gasoline; several competitors recommend or require premium. No rating for the ES 300h has been given at this time, but Lexus says it expects the combined rating to be 39 mpg. That would make it the most efficient luxury sedan on the market, though the EPA has yet to give estimates for the redesigned Lincoln MKZ Hybrid. The front seats have stiffer side bolsters, which became apparent alongside the prior ES. Where the prior car's front seats allowed too much sliding, these hold you in — without constraining on long-haul drives. Although it moved to the larger Avalon's platform, the ES' cabin room falls closer to that of the redesigned Camry: Total volume is 100.1 cubic feet, up 5.2 cubic feet from the last ES, which falls in line with a moonroof-equipped Camry. The biggest change comes in the backseat, which gains 4.1 inches of legroom and 0.7-inch headroom. It's roomy back there, with decent knee room and no center floor hump. Manual sunshades in the doors and a power rear shade are optional, but the rear shade requires hollering to the driver, as the deployment controls are up front only. Heated rear seats and a rear climate zone — both available in the Avalon — are unavailable. Trunk volume in the ES 350 is 15.2 cubic feet, up 0.5 cubic feet versus the last ES. That's between the improved BMW 3 Series' 17 cubic feet and the Acura TL's surprisingly small 13.1 cubic feet. Typical of a hybrid, the ES 300h places its battery behind the rear seats, which lowers trunk volume to 12.1 cubic feet. Like the prior generation, the ES 350 gets a center pass-through but no folding backseat; the ES 300h has no opening at all. A power-closing trunk is optional. Luxury touches include piano-black or genuine wood trim, with real bamboo in the ES 300h, and optional ambient lighting below the door and dashboard inlays. Lexus' NuLuxe faux-leather upholstery, offered in cars like the CT 200h, is standard. Last year's ES had standard leather. The NuLuxe feels synthetic, but it's softer than the often-stiff leatherette, aka vinyl, competitors serve up. Heated and ventilated seats are optional, but the ventilation borders on useless. That's ironic since the Avalon has cooled seats that turned your chaps to ice. Similarly, the optional heated wood-and-leather steering wheel heats just the portions at 3 and 9 o'clock. Touch anywhere else and the wheel stays cold. I'm calling foul: If Chrysler can heat the wood portion of the 300's wheel, Lexus should, too. The gimmicks continue with an optional panoramic moonroof. It's more like 2 small roofs separated by a massive divider, with clunky manual sunshades that short drivers won't like yanking. Others — the Hyundai Azera and Cadillac CTS — have near-continuous panoramic panels that let more light, with power sunshades to boot. The cabin trades last year's chrome inlays for silver plastic, and the faux-leather dashboard trim is little more than a stitched veneer, which Lexus calls a stitched slush mold. Other entry-luxury cars, including Lexus' own CT 200h, have more-convincing dashboard stitching, and Chrysler's sedan can come wrapped in genuine leather. Similar stitching to the ES adds a classy vibe to the plebeian Camry, but in the pricier Lexus, it rings cheap. The standard stereo includes USB/iPod compatibility, a 6-CD changer — this is the brand that kept a tape deck long into the iTunes era — and Bluetooth phone operation. 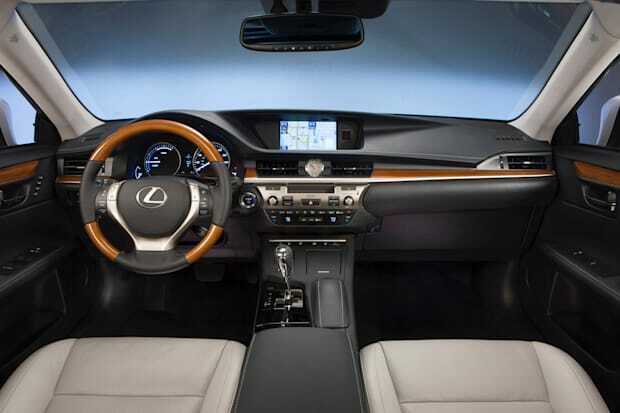 Options include a 7-inch display that works through a center-console knob or an 8-inch navigation system that works through Lexus' 2nd-generation Remote Touch Interface. Both systems add HD radio and Bluetooth audio streaming, which ought to be standard — and the six-CD changer dumped. Remote Touch plays out like a computer mouse, with haptic feedback to fast-track your pointer to the on-screen options, which include a suite of smartphone-tethered applications such as Yelp, Pandora and Facebook Places via Lexus' Enform system. While the ES lacks the stunning expanse of the GS' 12.3-inch system, it's intuitive enough to work when the car is stopped. Still, I find well-sorted knob systems — like Mercedes' Comand — easier to manage on the road. Mark Levinson audio is optional in navigation-equipped cars. The ES has not been crash-tested, but Toyota engineers said they expect Top Safety Pick status from the Insurance Institute for Highway Safety and a harder-to-get 5 stars out of 5 overall from the National Highway Traffic Safety Administration. Standard features include head-protecting side airbags and brake-pedal override, plus the required antilock brakes and electronic stability system. New safety options include a blind spot warning system, rear cross-traffic alert and automatic high-beam headlights. Lane departure warning — but not mitigation — is also optional. Per forthcoming federal requirements, the ES 300h has an audible warning to alert nearby pedestrians when the car is in EV mode below 12 mph. Standard features on the ES 350 include keyless access with push-button start, dual-zone automatic climate control, a moonroof, power front seats, a USB/iPod-comparable CD stereo, Bluetooth phone operation and faux leather upholstery. Real leather, heated and ventilated seats, front and rear parking sensors, a navigation system and a panoramic moonroof are among the options. As of this writing, Toyota's luxury division has yet to price the ES, which hits dealerships later this year. But the prior-generation sedan ranged from the mid-$30,000s to the mid-$40,000s as options ballooned. No competing luxury sedan has the ES beat across the board, but others chip away at its various weaknesses. The ES is no tarted-up Toyota; the quality gains versus a loaded Camry are apparent, and its strengths are clear. This is the sharpest-looking ES in at least 3 generations, and the hybrid's 39-mpg EPA combined rating should all but guarantee more interest. But too many surprise-and-delight features fall flat. Lexus needs to take a page from Audi: Ax the ventilated seats and faux-leather dashboards and invest in consistent quality instead. For 2013, the Lexus ES sedan receives its 1st redesign since 2007, and for the 1st time in the model's history, the regular car, currently called the ES 350, is joined by a hybrid counterpart, the ES 300h. The ES 350 competes with the Acura TL, Hyundai Azera and Lincoln MKZ. The ES 300h goes up against the Lincoln MKZ Hybrid as well as hybrid and diesel versions of the Mercedes-Benz E-Class. The ES has grown an inch in length, and the wheelbase has increased by 1.8 inches. The new styling incorporates Lexus' new signature hourglass-shaped grille, which the company describes as a "spindle." Though similar in appearance overall, the hybrid adds a subtle trunklid spoiler and replaces the ES 350's dual exhausts with a clean rear bumper. Seventeen-inch alloy wheels are standard, and 18-inchers are optional. The longer wheelbase has contributed to a 0.6-inch legroom increase for the backseat. Upgraded materials replace an interior that had fallen behind the times. Imitation leather upholstery is standard, and the real article is optional. Trim choices include piano black, bird's-eye maple and bamboo. Lexus has resisted the move toward touch-sensitive panels, sticking instead with traditional buttons supplemented by the company's Remote Touch Interface, now in its 2nd generation, which previous model years didn't include at all. It comprises a multifunction sliding pad controller and a dashboard LCD screen that incorporates entertainment, communication, optional navigation and other functions. Options include a voice-activated navigation system, a backup camera and a premium stereo. A power rear-window shade, manual side-window shades and a 1-touch trunk closer are also offered, as is ambient lighting. The ES 350 is powered by a 3.5-liter V-6 engine that drives the front wheels through a 6-speed automatic transmission. Like the Toyota Camry Hybrid with which it shares a platform, the ES 300h employs a 2.5-liter 4-cylinder engine paired with electric motors and a high-voltage battery pack for an estimated 40 mpg in combined city/highway driving. Both ES models provide different driving modes to maximize efficiency or sportiness to suit the driver's mood. The 300h includes an EV mode that allows electric-only driving for short distances at low speeds. Standard safety features include 10 airbags, including knee airbags and seat-mounted side-impact torso airbags for the front and outboard rear occupants. Antilock brakes and an electronic stability system are also included, as is Lexus Safety Connect with a year's free subscription. Safety options include a blind spot warning system, lane departure warning and precollision warning. The outside is OK for what it is (ES), the grill is awkward. But the worst part is the center stackup. One of the worst looking and dysfunctional climate control/entertainment designs I've seen in a while. They definitely dropped the cars for pictures. Sneaky bastards. The new Lexus interior styles are excellent. They look more European and a lot more refined. Gotta agree with people not liking the center stack. It looks like it was designed by committee... maybe 2 or 3 of them... starting in the 1970's and ending around 2005. I don't mind the number of buttons (hell, I drive a 3G Acura, so you know I don't), but it's like a carnival of squares, circles, rectangles, dials, and any other part they could find that could adjust something. Like there's no cohesive design. The rest of the interior looks pretty good. +1, that center stackup is awful with it's tacky combination of brushed metal and black plastic. Yeah, it looks like a 80's Nissan. this is what I don't get...journalists jump on Honda/Acura for having too many buttons. And they do...but the buttons are intuitive and ergonomic. I'm looking at this center stack and those buttons for the AC etc are tiny. And I'm so used to having a knob for temp in my Honda that I would absolutely hate pressing buttons for the temp. Proof that indeed Toyota can build a better Camry. I can't argue with people when they say Acura has too many buttons - it's subjective, so I have no reason to argue. I've never had a problem with the buttons on my 3G TL. I find the button I need and it's still there tomorrow and the day after. Now if they moved around overnight, I can see all the confusion... lol. But then, when I'm in a car, I like the feeling that I'm in a cockpit or piloting something. Gimme buttons! What I don't understand is how people can say a rotary dial that navigates through menus and submenus is somehow necessarily a better user interface than the buttons. TORRANCE, Calif. - July 16, 2012 – Lexus today announced Manufacturer's Suggested Retail Prices (MSRP) for the all-new 2013 ES 350 and first ever ES 300h which will arrive at dealerships next month. The 2013 ES 350 luxury sedan carries a base MSRP of $36,100, reflecting a decrease of 1.7 percent versus the previous generation's MSRP. The ES 300h luxury hybrid sedan will have a MSRP of $38,850, representing a difference of $2,750 over the ES 350, the lowest hybrid premium in the Lexus line-up. The ES 350 and ES 300 hybrid will arrive at dealerships in August. The MSRP does not include a delivery, processing and handling fee of $895. The ES 350 is powered by a 3.5-liter V6 engine with Dual VVT-i that delivers 268 horsepower at 6,200 rpm and 248 lb.-ft. of peak torque at 4,700. The six-speed sequential-shift automatic Electronically Controlled Transmission with intelligence (ECT-i) provides enhanced driving performance, fuel efficiency and smooth shifts. Low friction materials further improve efficiency and help with the ES 350's EPA-fuel economy estimates of 21 mpg city, 31 mpg highway and 24 mpg combined. Both the ES 350 and ES 300h feature a Drive Mode selector. Normal mode provides a blend of performance and efficiency that is suited to everyday driving, while Eco mode favors fuel economy. Sport mode increases powertrain and steering responsiveness. The ES 300h adds an EV mode which allows short distance drives, at reduced speed, using only the power from the hybrid battery pack. A stiffer chassis is achieved through lightweight, high tensile strength steel, added bracing and more body welds. Revised suspension geometry, shock absorber dampening and a quicker steering gear ratio deliver more precise handling while enhancing ride comfort. The ES features a class-leading 10 airbags as standard equipment. The optional Blind Spot Monitor with Rear Cross Traffic Alert (RCTA) helps detect vehicles in side blind spots. The RCTA alerts the driver to rear cross traffic when backing out of a parking spot. Available Lane Departure Alert (LDA) is integrated with automatic high beam dimming technology. The available Pre-Collision System (PCS) uses sub-millimeter wave radar, designed to detect certain obstructions traveling ahead and prepare the vehicle for a potential collision. Lexus Safety Connect®, including Enhanced Roadside Assistance, an Emergency Assistance Button (SOS), Stolen Vehicle Location services, and Automatic Collision Notification, is offered on all new Lexus vehicles with a one-year trial subscription. The standard Lexus Premium Sound System features eight-speakers with Automatic Sound Levelizer (ASL), in-dash CD player, USB/iPod® connectivity, and an integrated SiriusXM Satellite Radio receiver with a 90-day trial subscription. The available Display Audio package adds a seven-inch screen, HD Radio™ with iTunes® tagging, Bluetooth® audio, automatic phone book transfer, a vehicle information display and a rear backup camera. An available 15-speaker 835 watt Mark Levinson® audio system features an eight-inch display screen, DVD audio/video. Exclusive GreenEdge technology from Mark Levinson doubles the output of the amplifier, while reducing energy consumption by fifty percent. That's nice but we all know you won't be able to find one on the lot for less than 40K. That's the power of the Lexus brand. How many buyers in the $35k+ market ever just get the stripper base model? In the 1st 6 months of this year, Lexus sold 18,265 ES sedans in the U.S. -- nearly a 9 percent increase over the same period in 2011 and by far the most of any car in its lineup (only the RX crossover outsells it). Since the model's introduction in 1989, the faithful have loved this buttoned-down 4-door and their ardor is sure to bloom even more this month, as the Japanese maker releases a new, 6th-generation version -- including a 1st-ever hybrid. Sales hit? Guaranteed. Cheers and lust from all of you reading this? Not a chance. The ES has always been -- and, it turns out, continues to be -- the internal-combustion equivalent of Top 40 hit from The Carpenters: pleasant enough, masterfully executed...and almost offensively innocuous. The enthusiast driver will find almost nothing to latch his soul to here. The Lexus brass monitoring the sales charts doubtless couldn't care less; for buyers in search of slip-on status, the ES's relative affordability, proven quality, and look-what-I'm-driving "L" on its hood ensure this machine will fly off sale floors like a rocket-fueled iPad. Still, given that Lexus is now touting a high-drama, $375,000 LFA supercar, who could blame us for expecting some of that DNA to trickle, BMW-like, into everything the company makes? 2 major changes dominate the ES story for 2013. 1st is the replacement of the previous Camry platform with the bigger Avalon's. Result: the new ES is a truly substantial car with more than 4 inches of added legroom in the rear seat. It's like a racquetball court back there; so huge, passengers emit giggles and "wows!" as they pile in and stretch their legs in unexpected splendor. "ECHO!...Echo!...echo!...Now batting for Pedro Borbon, Manny Mota... Mota...Mota..." A 1.6-inch boost in overall length helps bump up trunk room a bit, too. The other major departure from the previous ES recipe is the addition of a hybrid powertrain. The new ES 300h model borrows its 2.5-liter Atkinson cycle 4 and continuously variable transmission almost unchanged from the Camry Hybrid. Peak output is the same 200 horsepower, too. As before, a "regular" ES 350 sports a carried-over 268-horsepower 3.5-liter gas V-6 with 6-speed automatic. If you've seen the new Lexus GS that hit dealerships earlier this year, you'll note a familiar styling theme in the new ES. Most notable is a grille as large and prominent as an Audi's, albeit folded and creased in the middle like an origami hourglass (our recent review of the GS decided the face resembled Ah-nold's Predator). Still, most onlookers who commented on our ES test cars seemed to love the look. For sure, the new design offers far more surface excitement -- that grille, brawny wheel arches, an artful C-pillar -- than the outgoing loaf of milquetoast. Inside is an even more welcome makeover. While the previous car's cabin had all the pizzazz of a Holiday Inn Express, the new ES evokes some cues worthy of a boutique hotel. The optional nav system's display, for instance, resides in its own dramatic swoosh of dash above the main controls. The available Remote Touch system incorporates a mouse-like controller to access the screen. It's workable enough, but lacks the visual finesse of, say, Audi's MMI system. Frustratingly, the system locks out numerous functions (even many radio presets) while the vehicle is in motion. Maybe Lexus is doing many of us a favor by forcing ES drivers to pull over before they attempt to mouse. Then again, at speed, even co-pilots are barred from making inputs. The standard V-6 is a seasoned champ, frisky enough to serve in the Lotus Evora sports car. It's potent, smooth, and makes an aggressive yowl under a heavy foot. In the ES 350, there's enough grunt to reach 60 mph in 6 seconds flat, the 6-speed automatic snapping off shifts as if it's a graduate of the University of Idyllic Torque Management, but don't for a moment think this is an athletic car. Steering feel is...well, there isn't any. Though the ratio has been quickened for the new car (from 16.1:1 to 14.8), it's still glacial in response. Worse is the lack of feedback; the wheel offers little sense of the road beneath or building cornering forces. Perhaps that's because there aren't many cornering forces to detect: both cars delivered just 0.76 g of grip. An automobile doesn't need lofty performance limits to be entertaining (VW's GTI is no F1 car, but it's a blast to gun across a twisting road), but the ES resolutely shrugs off any attempts at driving enthusiasm. It's almost unbelievable that this machine and the LFA (not to mention the GS 350 F Sport and the IS F) wear the same badge. You might forgive such a humdrum personality if the ES were a virtuoso of cushiness. The very first Lexus LS 400, after all, blitzed the luxury-sedan market not with dazzling track stats but by enveloping its occupants in a cloud of comfort and refinement unprecedented for its price class. Not so the new ES. Amazingly, neither version rides particularly well. The ES 300h has a semblance of a defense: for maximum mpg -- its raison d'etre -- it sits on hard, low-rolling-resistance Michelins. Curiously, though, our ES 350 test car wore the same 17-inch rubber bricks. An 18-inch all-season tire is optional on the ES 350 and might soften the ride a tad, but it's hard to imagine anyone describing this sedan as "plush." Tire noise intruding on the cockpit is an issue, too. That's the really unpardonable sin here: no DNA from the LFA, but not enough from the LS 460 either. Though we might not have predicted as much going into this review, after driving both ES models back-to-back it's the hybrid ES 300h that comes off as the far more appealing car. It's not as quick as the V-6 -- the run to 60 mph takes a leisurely 7.6 seconds -- but in around-town driving its instant-torque electric motors and seamless CVT make it feel livelier (despite the hybrid weighing 161 pounds more than the ES 350). A silly feature, standard on both cars, dubbed Drive Mode Select allows the driver to choose eco, normal, or sport settings to alter the response of the throttle and power steering assist. In the ES 350, you'd be hard-pressed to notice much difference between any of the 3, but in the ES 300h the sport setting really juices-up the throttle; the car fairly leaps away from stoplights. In sport, the hybrid's main dash displays a tachometer -- which takes some getting used to for the 1st few stoplights as the needle suddenly plops to 0. While the hybrid is capable of running in full-electric mode for short periods, doing so requires a delicate right foot -- and keeping the speedo below 25 mph. Of course, the hybrid trumps the V-6 model on economy: 40/39 city/highway mpg versus 21/31. That taken into consideration, the ES 300h really is a standout: a luxuriously appointed, hugely spacious sedan that returns 40 miles per gallon in urban settings -- nearly double that of its V-6 sibling. True, the 4-cylinder gas engine in the ES 300h can't match the ES 350's 6 for silkiness, but it's respectable. Overall, the hybrid simply comes off as the more modern and engaging machine. Lexus claims the base price of the 2013 ES 350 ($36,995 including destination) is 1.7 percent lower than the car it replaces. Which is true, except that's a bit like comparing leather apples to cloth oranges. Such niceties as leather seats, a power tilt/telescoping wheel, driver-seat memory, and wood trim are no longer standard (our test car had all of them as part of a $1370 Luxury Package). Add navigation and high-gloss alloy wheels, and our ES 350 totaled $41,325. The ES 300h carries a $2750 premium over its "regular" twin, in return delivering crisper city responsiveness, far fewer visits to the pump, and the knowledge that you're demanding a little less of Mother Earth than the driver of the ES 350 (some might consider that worth it, others not). Outfitted with navigation, Mark Levinson premium audio, and the Ultra Luxury Package (leather, climate-control seats, park assist, etc.) our test car climbed to $45,050. Nope, the new ES doesn't wow us. In fact, in many respects it's downright disappointing, an uninspired effort, beneath what Lexus is clearly capable of. Not that Lexus will care. For its intended audience, the company has likely hit the bull's eye, building a car the faithful will see as better in every way. For us, though, the 2013 ES is a target that doesn't merit our aim. 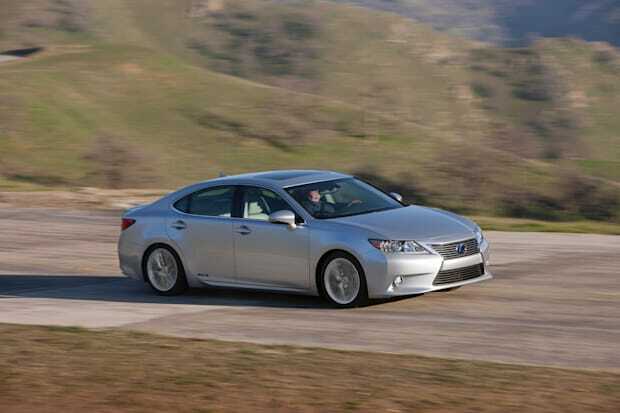 Available as a V-6 ES 350 or first-ever hybrid ES 300h, the ES grew longer and taller for 2013. It now hails from the Toyota Avalon's longer platform rather than the Camry, with which it traditionally shared underpinnings.